What's Changing With Google's AdWords Certification & API Quotas? Home > Photo of the Day > What's Changing With Google's AdWords Certification & API Quotas? Google announced significant changes to the AdWords Certification program and how they handle API call pricing. (1) Google has redesigned their AdWords certification. It launched in 2004 as Google Advertising Professionals (GAP) program and is now going to be known as the Google AdWords Certification program. 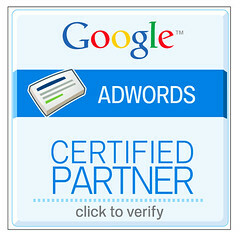 (2) Google is pushing the AdWords partner database. (3) They announced new preferred AdWords API pricing. Individual Qualification Old Days: One test and spend requirement. Now: Two tests (one basic and any one of the advanced tests) and no spend requirement. This seems that the individual qualification is more a resume bullet point than a way of attracting business. Certified Partner Old Days: This was a qualified company. Qualified companies required 3 GAPs and a nice spend requirement. Now: Need one Individual Qualification and spend $10k/quarter. This is a much lower threshold. Others While Google still offers logos for analytics, website optimizer, etc - the AdWords Reseller and AdWords Company qualified logos showed both a combination of size (more than 1 employee) and spend. API Here's the really good news. Agencies will now get API credits based upon client spend. In the old days, an individual advertiser or reseller could get free quote points, but agencies had to pay for it. Now, just like individual advertisers; agencies can be eligible for credits if they have an agency page (a free listing page on Google's site that you can create once you're a partner). Yup, they're still certified. That said, partners who are GAP certified will have to meet the new criteria, along with new terms and conditions, within a six-month period. To be certified, each company must have one employee who has passed the Google Advertising Fundamentals exam, along with one Advanced exam (there are now four exams which cover a range of topics — Google Advertising Fundamentals, Advanced Search Advertising, Advanced Display Advertising, and Advanced Reporting and Analysis — instead of one broad exam). Additionally, the company must reach a 90-day minimum spend criteria of $10,000 USD or currency equivalent — which was previously $100k — and agree to new terms and conditions. Previous story: Is Google Crippling The Site: Command?